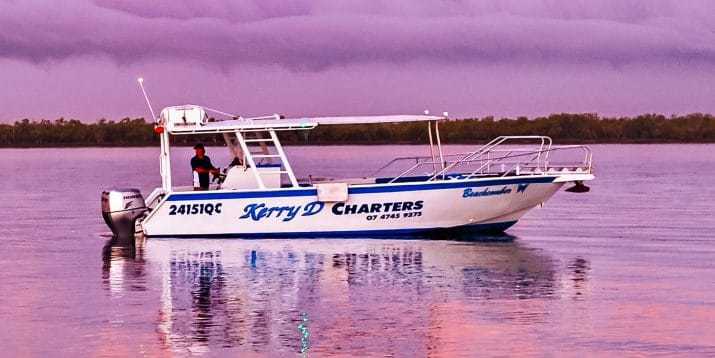 At Kerry D Charters you can rest assured that you are going to sea on a vessel that is perfectly fitted for the job at hand. 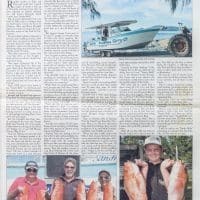 Allowing you a fishing/charter with the peace of mind that can only come from knowing you are well-catered. Both of our vessels are regularly maintained and inspected to ensure that they are as seaworthy and fit for purpose as possible! A large and comfortable vessel designed to get you to your destination in comfort and quickly, with a cruising speed of 20 knots. Custom designed by a naval architect to be perfectly at home in the waters of the Gulf, allowing you comfort, refinement and shade for your travels. 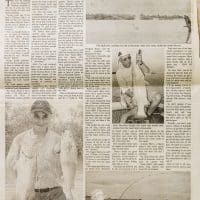 I have been fishing with, and reporting on, guided fishing operations, both here and overseas, for over 40 years and I am very impressed with Kerry D Charters at Karumba. 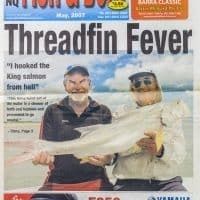 In fact, I would place them in the top five I have been privileged to fish with.